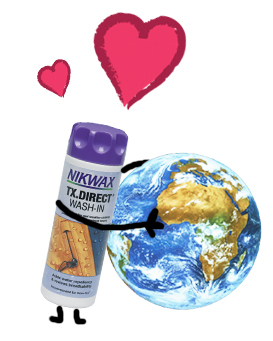 We here at Nikwax get all warm and fuzzy inside on Earth Day. It’s always so touching to see people from across the globe coming together to help make the world a better place. We enjoy all the attention that Earth Day brings to topics like conservation, responsibility, and working towards a better future. So, in the interest of sharing, we want to let you know that we’re with you in trying to make every day Earth Day. And that’s just the beginning. We invite you to read more about our efforts in our Corporate Social Responsibility Report here. Oh the juicy details! Now, you might ask, why does Nikwax do all these things? Our founder and owner, Nick Brown, has always been an avid outdoor enthusiast. It was his enthusiasm for being outdoors, no matter the weather, that helped inspire him to create his own waterproofing products for his boots. After creating the original formula for Waterproofing Wax for Leather, Nick turned his imaginative mind to apparel. 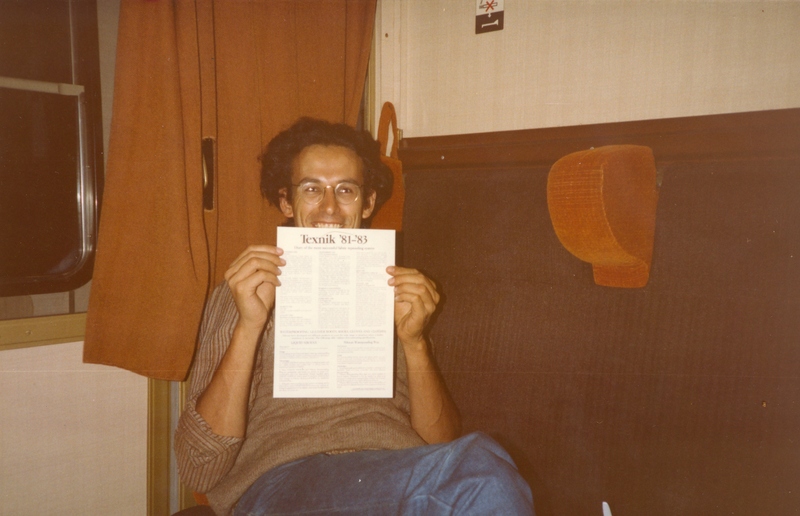 It was around 1980 that the beginning of ‘green thinking’; awareness of ozone depletion and the problems relating to aerosols arose. Nick Brown with his first ever patent! In 1983, determined to find new, easy and ‘clean’, ways to waterproof garments, Nick developed an entirely novel approach. Harmful and flammable solvents were replaced with water, and the Nikwax Water-Based Range was created. 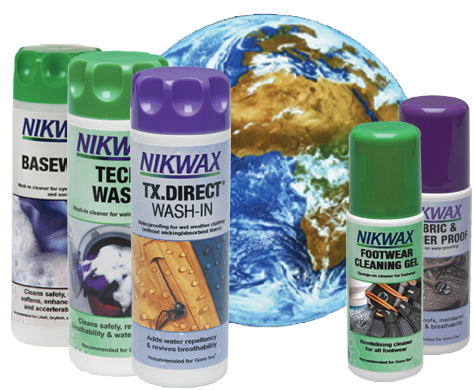 Nikwax was the first company in the world to produce a range of water-based products for restoring waterproofing in the home. This commitment to producing safe products of the highest quality still rings true today. We are constantly striving to improve ourselves. We all share Nick’s love of all things outdoors. With that love comes the responsibility to protect it. 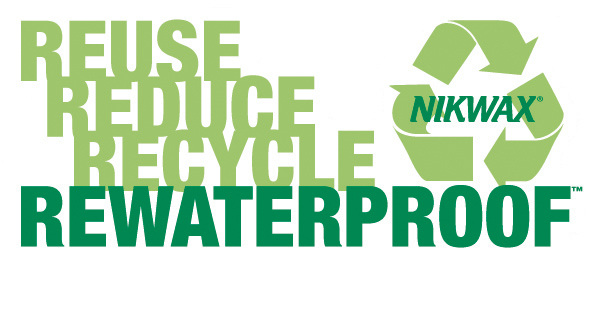 Happy Earth Day from the Nikwax Team! Categories: Environmental, History | Tags: carbon balanced, CSR report, Earth, Earth Day, ISO 14001, Nick Brown, Nikwax, Waterproofing | Permalink. We at Nikwax know that outdoor adventurers come in all ages and sizes AND that keeping all those little fast-growing trail-monsters outfitted can be both a logistical and an economic challenge. Then there’s the environmental impact of discarding all those tiny boots and mittens! Not to worry, parents, Nikwax can help! Never again worry about accepting those hand-me-down boots from the lady at work or wonder how much life is REALLY left in that little jacket you picked up at the thrift store. Nikwax makes all sorts of products that can breathe new life into tired outdoor gear and help it last long enough to pass down to the next kid in line. We’ll help you clean and waterproof footwear to extend the life of your family’s shoes and ensure that they don’t have to be replaced as often. Our Glove Proof will keep everyone’s hands dry during your adventures, and help make those gloves last long enough to be handed down. 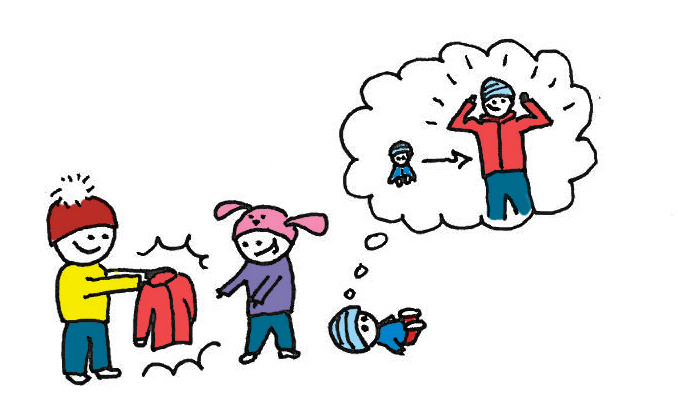 Make sure to regularly clean your family’s outerwear too! 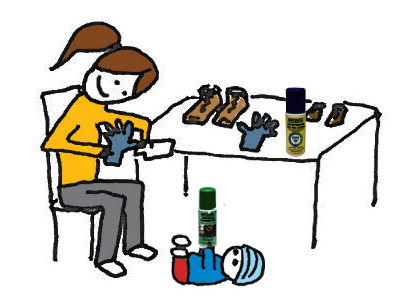 Regular cleaning alone can do wonders for extending the life and performance of your outdoor gear! Use products like TX. Direct, Softshell Proof, and Polar Proof to replenish or add durable water repellency (DWR) to your outerwear and make older items perform like new ones. Categories: Environmental, Gear Care | Tags: cleaning, family, Footwear, Gear, gloves, Jacket, Outdoor, Recreation, save money, saving, shoes, thrifty, Waterproof | Permalink. You probably don’t need those new boots! How to care for your shoes to make them last. Footwear, as we all know, takes a lot of abuse. Even so, it has always broken my heart a little to see even my most worn-out (yet beloved) shoes relegated to the trash bin. But, what else can you do? They’re toast, right? Wrong. A boot or shoe is made up (very roughly speaking) of three basic parts: the sole, the upper and the liner. All of these parts can become broken down or worn out without proper care. WITH proper care, however, your footwear can last you a LOT longer, leaving some extra cash in your pocket and a little less stuff in your local landfill. For extremely detailed direction on caring for your boots, check out this article by our friends at REI, Caring for Hiking Boots: Expert Advice. A good place to start is by finding a good repair person in your town. Dave Page, Seattle-area Cobbler Extrordinaire, agrees, “resole your shoes. Those things are expensive!” As the authorized repair agent for REI, Vibram, Vasque, Asolo, Montrail, One Sport, Merrell, Raichle, Scarpa, Garmont, Salomon, La Sportiva, Technica, Lowa, Zamberlan, Kayland, EMS and Chaco, the man has resuscitated more pairs of shoes and boots than most of us have ever seen. Awaiting new life at the hands of Dave Page! 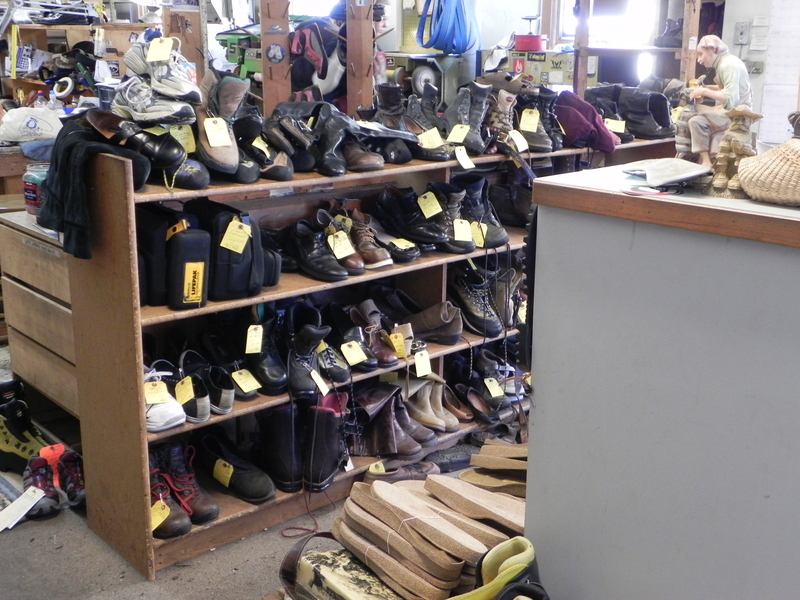 At a cost far below what you would pay to replace your footwear, you can have them repaired and resoled, keeping them out of the landfill and preserving that broken-in comfort you worked so hard for. “Replacing climbing shoes every time the sole wears out makes no sense to me. 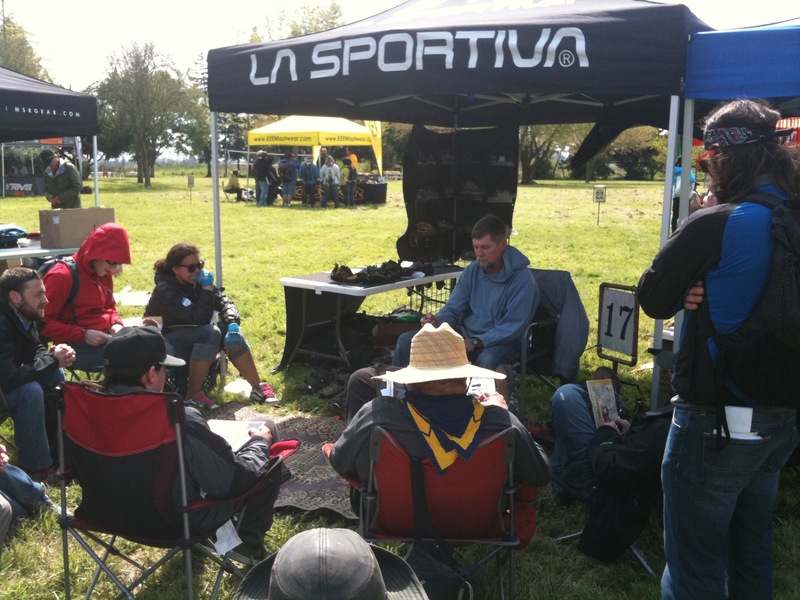 It’s wasteful and you’re always breaking in a new pair!” says La Sportiva (and Nikwax) rep Ed Sampson. What’s that you say? You say your boots are still practically new? Well, friend, then you’re in luck! Keeping your boots and shoes clean and waterproof prevents grit from getting into the fabric and leather and breaking them down from the inside. Use Nikwax Footwear Cleaning Gel to remove dirt and grime after use, then follow-up with the Nikwax waterproofer that’s appropriate for your specific type of footwear to maintain the durable water-repellent finish. Dave Page is a Seattle-area cobbler who specializes in repairing and resoling hiking and mountaineering boots, climbing shoes and Birkenstocks. If you have a pair of boots or shoes in need of help, contact Dave via his website. Ed Sampson is a long-time climber and mountaineer who’s built a storied career in the outdoor industry. He is currently part of the Tenaya Group, which represents La Sportiva, Nikwax and Bluewater Ropes in the American Southwest. Kelsey is the Technical Field Service Rep for Nikwax North America. She travels the country preaching the gospel of gear care as the Nikwax Nerd. Prior to working for Nikwax, Kelsey spent 7 years working in outdoor industry and footwear retail. She welcomes your gear care questions at kelsey.hulse@nikwax.com. Follow her on Twitter @nikwaxnerd. Categories: Gear Care | Tags: cleaning, climbing shoes, Earth Day, Earth Week, environmentalism, gear care, hiking boots, mountaineering boots, Nikwax | Permalink. You Don’t Need a New Jacket! You may know this story. You buy a brand new jacket. It is shiny and wondrous. You love your new jacket. 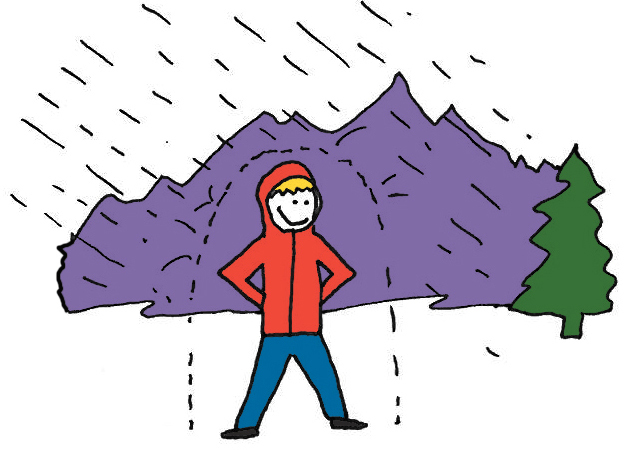 You go places together, and it keeps you dry and toasty. Time passes, as it inevitably does, and suddenly your jacket is no longer shiny. As a matter of fact, it seems to have become more absorbent than a sponge. 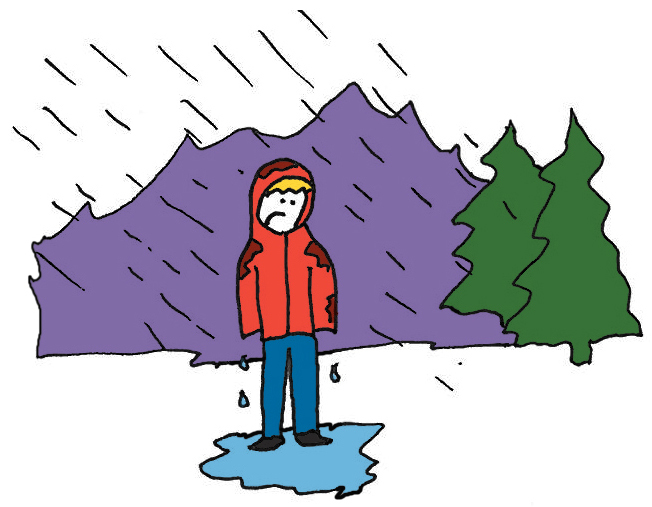 Even if your jacket is Gore-Tex, if it wets out, you will be unhappy. The jacket will weigh you down with its soggy fabric. It will no longer be breathable. The rain might not get through to your skin, but you’re miserable all the same. What do you do? This jacket was supposed to be waterproof. You storm back to the store and berate the employee who sold this jacket to you. False advertising is unacceptable! However, the store associate knows her business. 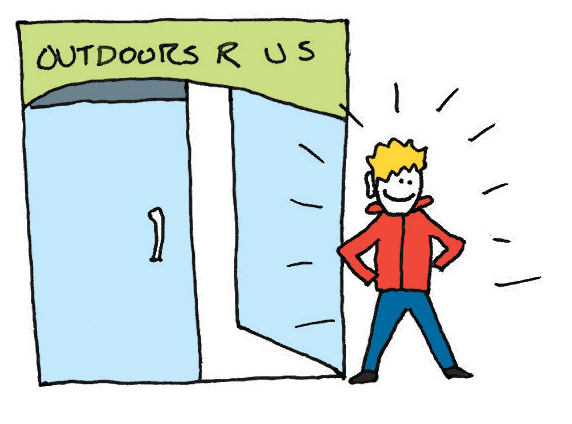 She tells you that like a car, outdoor gear needs proper maintenance. She shows you this stuff called Nikwax. It’s easy to use! Just throw the offending jacket in the washer with Tech Wash first to clean it. Sometimes just cleaning will make your jacket work like new again. Dirt, oil and other grime can muck up the performance of your jacket, making it wet out. Be careful about cleaning your outdoor gear in detergents, they can leave behind a residue that will attract water to your gear, which is a bit counter productive! 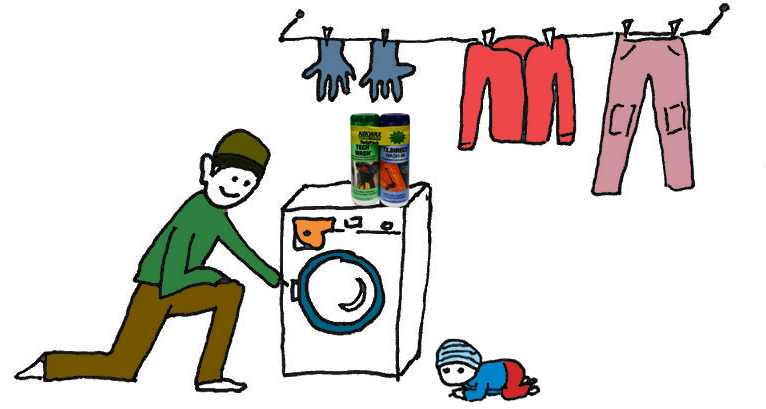 Tech Wash is a non-detergent cleaner and gets rid of grimy crud and detergent residue! Follow the instructions on the bottle so you know how much to use! After that cycle is done, you have two options. #1. You can call it good, and (if the care label allows) put your jacket in the dryer. This will help revitalize any factory applied DWR (durable water repellant) coating. That’s the stuff on the outside of your jacket that makes the water bead up. That’s what failed and allowed your jacket to soak up water. If your jacket is pretty haggard, you might just want to skip to option #2. #2. 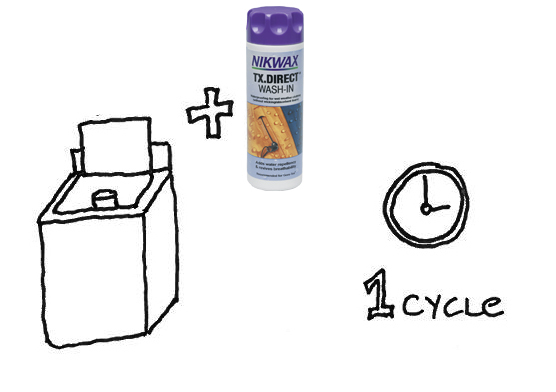 You can run another cycle with Nikwax TX. Direct. This will add more of that wondrous DWR to your jacket. Follow the instructions on the bottle to know how much you need to use! With TX.Direct you do not need to put your jacket in the dyer afterwards. You can if you want to, and the care label allows it, but it is not necessary with Nikwax waterproofing products, as they do not contain fluorocarbons! (Fluorocarbon-based waterproofing requires heat to activate). Save some energy and hang dry. That’s it! After those steps your jacket will be happy and ready for the next adventure. This process can help you keep your jacket performing year after year! No need to throw it out, no need to buy a new jacket. Save money! Keep your gear out of the landfills! 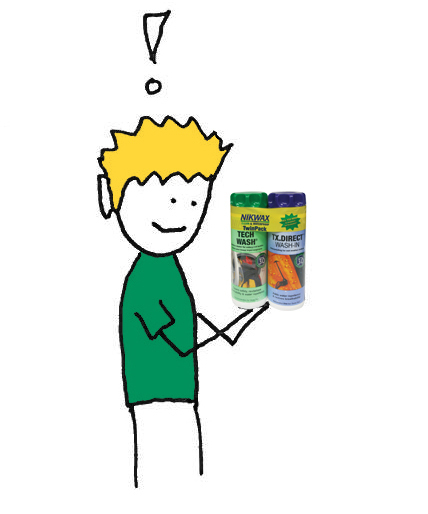 Also, all Nikwax products are created to be safe for you to use, and safe for the environment. Now get out there and have fun outdoors! Categories: Environmental, Gear Care | Tags: Clothing, DWR, Earth Day, Gear, Gore-Tex, Jacket, Nikwax, Outdoor, rain, Tech Wash, TX Direct, Waterproof, Waterproofing, Weather | Permalink. In honor of our esteemed planet, this week we will be offering up tips to help reduce your footprint. Every little bit helps, so grab your Nikwax and follow along! These tips will not only help the earth, but your wallet as well! It’s a win for everyone. 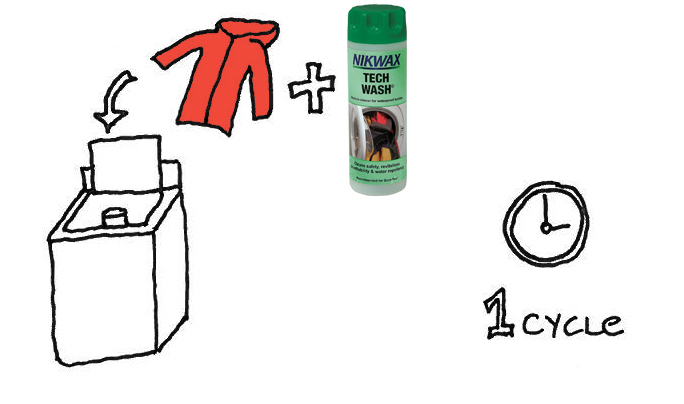 Each day (starting Tuesday) we will have a new blog post with a handy “How-To” tip (using Nikwax), that will help extend the life of your belongings. Keeping items out of landfills, and fighting planned obsolescence tooth and nail, is a huge part of the green revolution. These posts will be featured on our Facebook page and Twitter feeds. We encourage our fans to offer up helpful tips of their own, be they ways to save the planet, or ways to pinch pennies, or both! Also, we will be taking suggestions for topics for our daily posts. We will feature the winning topic in a post on Friday, Earth Day! But wait… There’s more! We will be giving away two prize packs this Earth Week. One will go to the lucky person who’s blog post idea is chosen. The other will go to a fan who has posted a handy tip, either on our Facebook wall or our Twitter feeds (use @Nikwax). The more tips you give, the more chances you have to win! Categories: Environmental, Gear Care | Tags: Chance to win, Earth, Earth Day, Earth Week, Eco, Environmental, environmentalism, Facebook, footprint, Giveaway, How-to, Nikwax, Planned Obsolescence, Prize, Recycle, Reduce, Reuse, Twitter, Waterproofing, Win | Permalink. When a Canadian energy company made a proposal to start routing oil tankers through the Douglas Channel and Greatbear Rainforest in British Columbia, Canada, the birds, whales and other wildlife endemic to the area couldn’t stand up for themselves. So Norm Hann stood for them. Norm and his partners traveled the 400 km tanker route by standup paddleboard, connecting with the Native people that have lived for generations in this pristine wilderness and raising awareness of the impacts of the proposal. His efforts remind us all that there is ALWAYS something we can do and one person CAN make a difference. For more information and to support Norm’s efforts, visit Standup4GreatBear. If exploring incredible terrain via paddleboard (or just taking a few lessons) is EXACTLY what you were hoping to do this summer, Norm’s your guy – Mountain Surf Adventures. Categories: Environmental, Faction, Stories, Uncategorized | Tags: British Columbia, Canada, conservation, environmentalism, Faction, Greatbear, pro, rainforest, standup paddleboard, StandUp4Greatbear, SUP | Permalink.